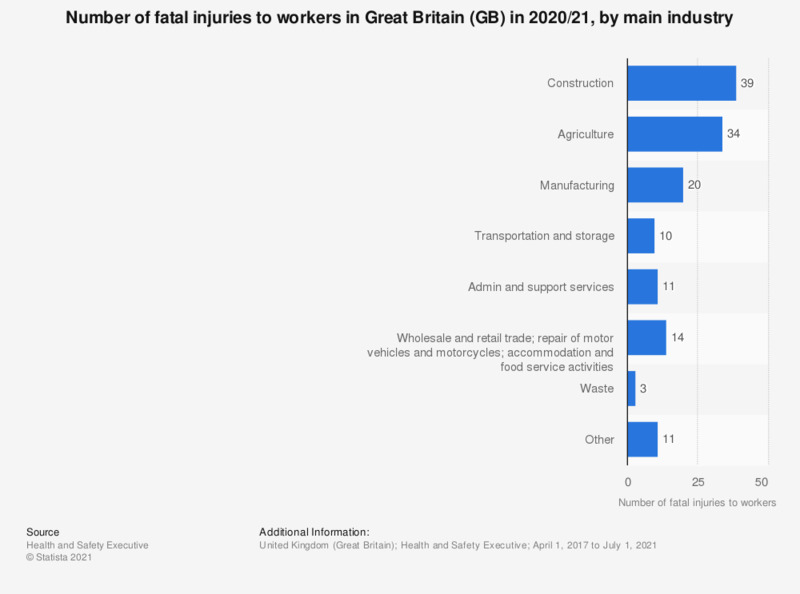 This statistic shows the number of fatal injuries to workers in Great Britain in 2017/18, by industry. During this reporting year there were 38 fatalities in the construction industry, the most of any sector. The term 'workers' covers employees and the self-employed combined. Everything On "Work-related illness and injuries in the United Kingdom" in One Document: Edited and Divided into Handy Chapters. Including Detailed References.